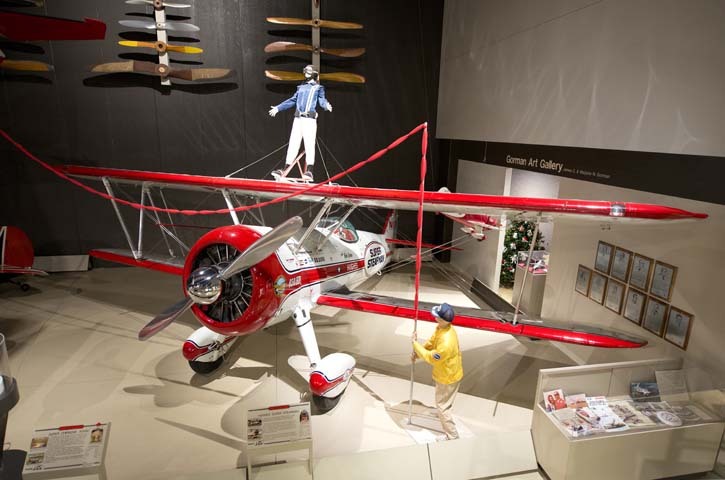 This Super Stearman evolved from the hands and mind of legendary air show pilot Joe Hughes. He wanted something even better than the standard 450-hp air show Stearman, especially for movie work. The first Super Stearman, N21R, was built up and gradually refined by a host of engineering changes to meet the parameters set by Hughes. 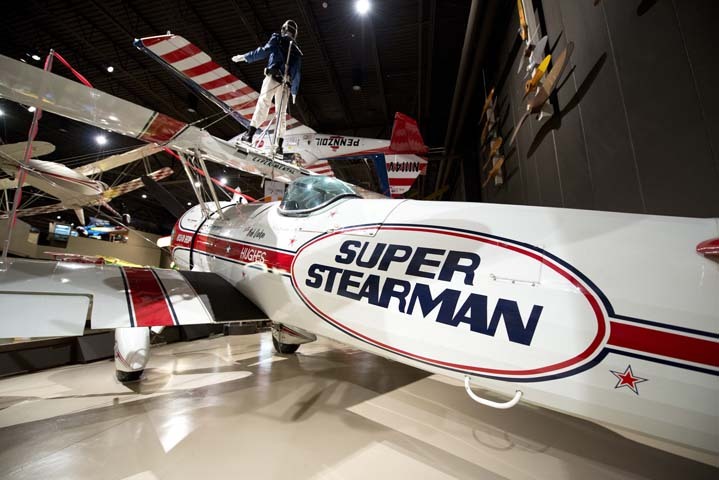 Once all the bugs were worked out, the decision was made to build a second Super Stearman from the ground up using the lessons learned from the first aircraft. Beginning with a new Stearman airframe, work started on the second aircraft in January 1977. 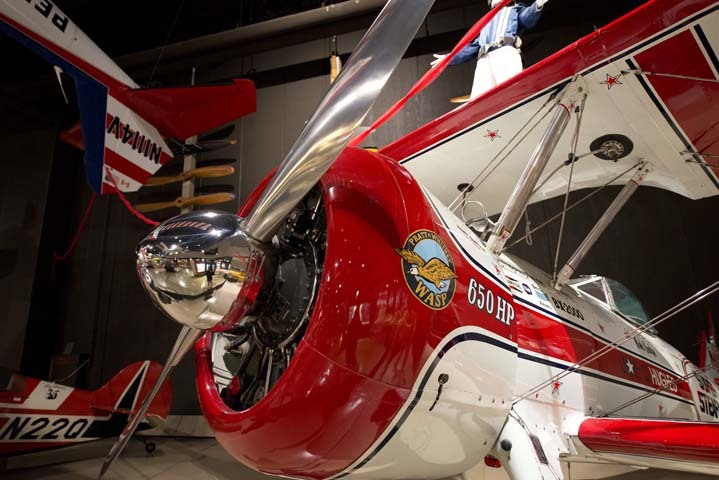 Hughes worked with mechanic Marty Corcoran and engineer Floyd Perry to build this airplane in time for the air show season. Surprisingly, the basic Stearman airframe is close to stock, with an extra landing wire between the wings being the only addition. The engine, a Pratt & Whitney R-1340-AN-1, was tested at up to 850 hp, but it was limited to 650 hp for normal air show work. 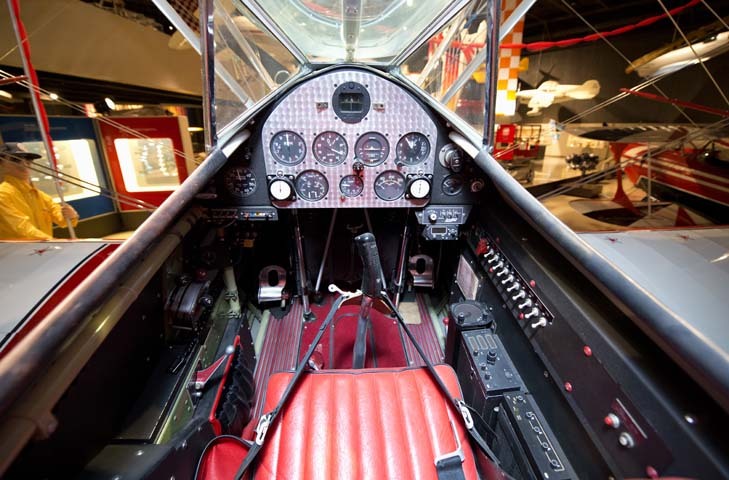 The completed Super Stearman (N5051V) was rolled out on May 6, 1977, just four months after work started.